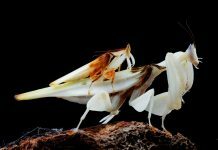 Although the praying mantis is one of the most formidable predators itself it does have quite many predators in the wild. 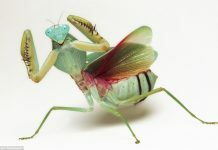 Many invertebrates including birds, small reptiles, and some arthropods likely prey on mantis although the latter does possess some antipredator adaptations. 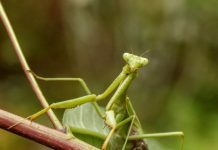 This article is all about praying mantis predators and how they possibly respond to them. 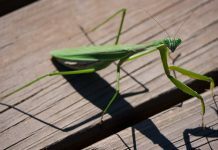 Praying mantis predators include, but not limited to, invertebrates, birds, small reptiles such as lizards and frogs, and even spiders. Ants and big hornet species are also known to take on praying mantis. Wasps such as Tachytes are some of the most successful predators of mantis one that can threaten the lives of adult mantis. Wasps actually love to feed on young mantis. They will eat young mantis by paralyzing their parents. 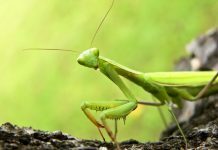 Read More: How Do Praying Mantis Protect Themselves? Spiders would love to feast on mantis. They capture their prey in a web so the prey doesn’t escape. 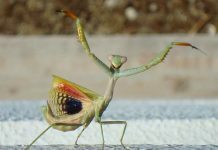 However, bigger species of praying mantis can get away with the spider’s trap. Tarantulas are not the primary predators of mantis because sometimes they (themselves) fall prey to the mantis. 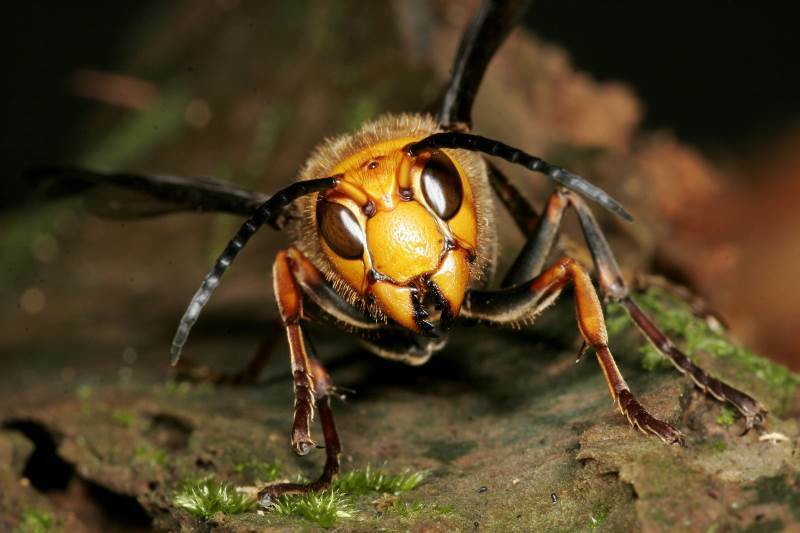 Hornets are particularly deadly to mantis in that they possess 1/4-inch long stingers together with an armored body. Hornets have extremely powerful jaws too. Bats can be threatening to mantis for they are adapted to capture their prey in flight. If a praying mantis senses bat it drops itself to the ground because bats have an excellent hearing sense. Although mantis are comparatively safer at night they’ll be vulnerable to some nocturnal predators such as bats.